On September 19th, the Annual General Meeting (AGM) took place. This time in Amsterdam, Holland. The complete event of AGM 2013 was a lively experience with 85 participants from 15 countries. In 3 days we held the AGM, workshops, visited 2 significant cemeteries and experienced Amsterdam secrets in a boat tour. Thanks to presidency, steering committee and exceptional organizational efforts of our host, The Facultatieve group, we took big steps forward in the life of our association. You can see our experience in the lively video and photo album of AGM 2013. 1. Financial report for 2012 and first 8 months of 2013. A very well balanced finances statement provides secure future for general work of ASCE. 2. Possibility to pay membership through PayPal was introduced. With this we have approached and listened to many members who wanted this option. 3. Work on the process of recognizing of Significant Cemeteries was presented. For the past years many requests were made in this direction. 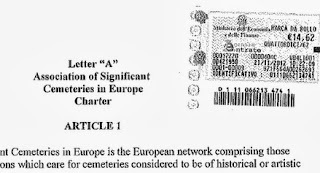 Steering Committee has prepared a process which will ensure that in future there are clear requirements on how to make your cemetery become recognized as Significant Cemetery of Europe. The process is mainly oriented into providing many important details that describe the cemetery (basic statistic data, cultural data, important monuments or graves,...). This is an important step into reaching our mission, to preserve and protect cultural heritage in cemeteries. 4. ASCE official registration as a non-profit organization was presented. Since 2011 presidency took important steps into adapting to changes in Italian legislation. ASCE was officially confirmed renewed registration in November 26th 2012. We have seen interesting presentations of each cemetery and took note about their acceptance into our organization. 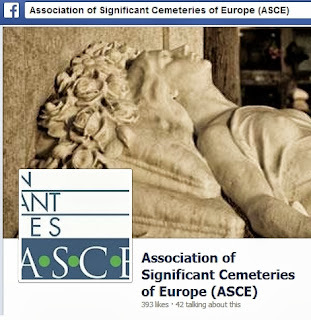 Besides Cemetery members ASCE accepted many new individual members and researchers. In past years we are noticing steady growth of membership, website visits, social media presence and emailing lists. Our work is recognized daily by more and more cemeteries professionals, visitors and general public. Still we are planning many more developments in our communications in the future. Together with scientific committee we will further develop the research segment of website. Especially we are inviting new editors to cover stories from their region or countries. If you wish to become an editor please send an email to admin@significantcemeteries.org and we will include you into the process. You are as well welcome to join us at our Facebook and Google+ page to follow our stories and work. 8. Finalization of EUCEMET project was presented. All members are again invited to participate in organizing Photo exhibition: “European cemeteries: Soul gardens, variety and heritage”. All material is available at ASCE secretariat. Any member who wishes to participate can send an email to admin@significantcemeteries.org. 9. Vision and strategy of Cemeteries route was presented with strong focus on developing tourism in cemeteries. 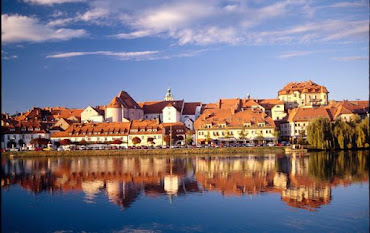 Within following months members will be able to join many new and some mandatory activities within the Route. Secretariat will take care of establishing a new website and mobile guide which will be more user friendly and at the same time provide data from existing ASCE website. 10. 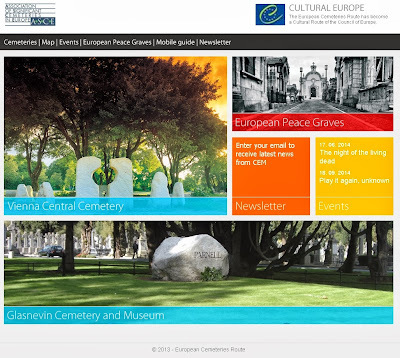 Common project for 2014 was discussed, named "European peace graves". 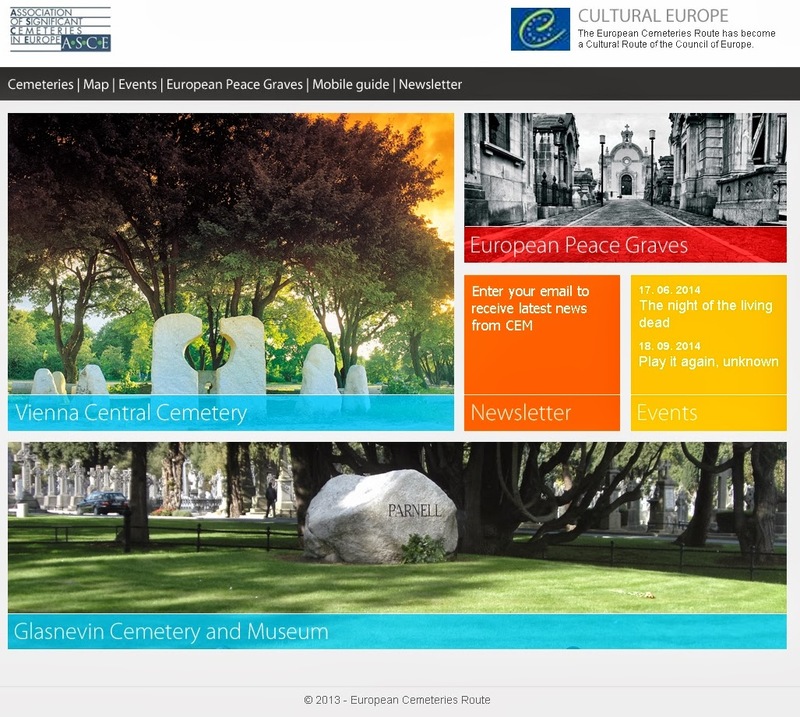 It is a project that can serve as part of Cemeteries route to promote visits of the cemeteries. Further information will be sent to members in following month. As noted in the report many members are actively organizing events during the week. In future we will present the common theme of such weeks and try to amplify the overall effect in media. All materials are always available at this ASCE webpage for download and print. We are very proud to continue important work for our cemeteries and seeing growth of membership and activities by members. AGM 2013 proved there is a lot of interest in expanding such work and we are sure that in Barcelona in 2014 we will see even more amazing projects which will bring our visitors in touch with the cemeteries.